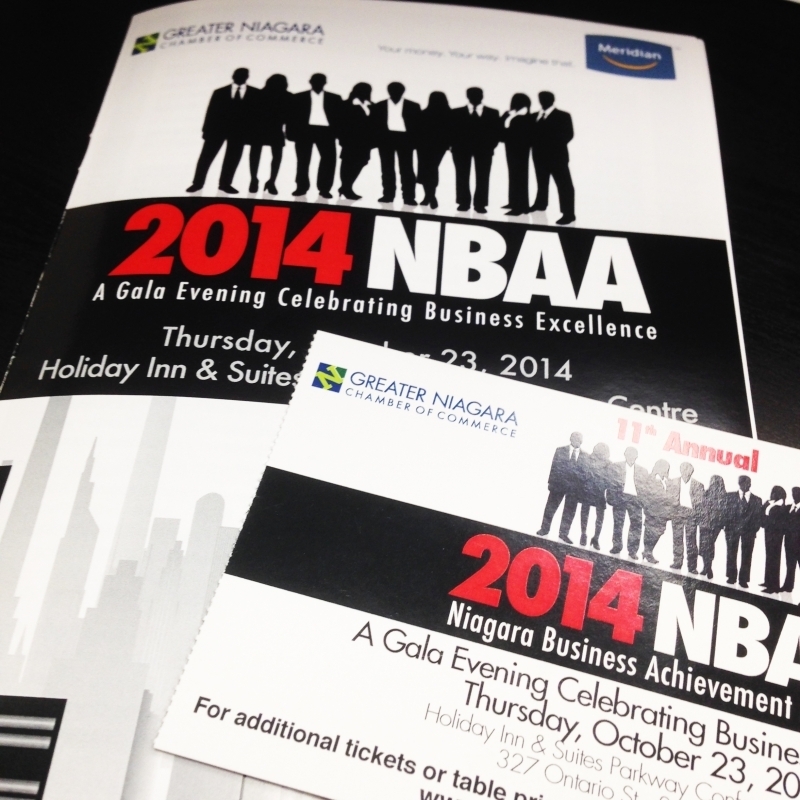 Thanks to the team from the Greater Niagara Chamber of Commerce for hosting the 2014 Niagara Business Achievement Awards last night! It was a great event celebrating Niagara-based businesses and community volunteers who are changing the face of our region. Special acknowledgements to the community award winners, including Ms. Liz Palmieri, the late Mr. Harold Staff, Mr. George Wakil and Mr. Allan Schmidt, who give so generously of their time and expertise to support both not-for-profit and business initiatives throughout Niagara. We were honoured to be selected as a finalist for this years award in the Technology & Innovation category. The well-deserved winner of this category was Niagara Regional Broadband Network. We also send our warmest congratulations to the finalists in each of the other categories. We look forward to growing business in Niagara together!